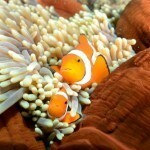 The best way to experience the Great Barrier Reef is to become one of the fish and enter the world of scuba diving*. Scuba Dive in pristine clear water amongst gardens that bloom under the sea. Scuba divers frequently interact with Green Sea Turtles or our friendly giant Maori Wrasse, ‘Wally’ during their scuba adventures. Scuba diving is an optional extra and can be added during booking or on board Compass Cruises. 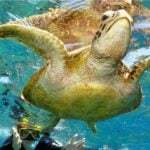 Book one or two certified dives and enjoy wonderful scuba adventures on the Great Barrier Reef. Compass Cruises cater to all levels of divers and scuba equipment rental is included in the price of your dives. Remember to bring your dive certification! On our Compass day Cruise you can try a free scuba dive demonstration where our friendly crew will suit you up in the scuba dive equipment and take you under the water to see if you feel comfortable breathing under the water. You may decide to go on a 20 minute resort introductory scuba dive hand held by one of our friendly professional dive instructors. Our scuba dive instructors will take you to a maximum depth of 12 metres. We take a group of 4 people per instructor on an introductory scuba dive. 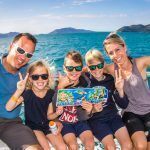 There are two locations for you to participate in resort / introductory scuba dive during your day on the Great Barrier Reef. You might be surprised to know that we take people from all over the World on a resort / introductory scuba dive many of them can not swim! The scuba dive is hand held, and the scuba dive instructor swims for you. Please be aware that some medical conditions and/or medication may stop you from participating in Scuba Diving. Please use our simple questionnaire or check with our friendly office before booking your trip if you have a medical condition or are taking medications, to avoid disappointment on the day. Queensland, Australia has the strictest requirements for scuba diving than anywhere else in the world with the highest safety record! 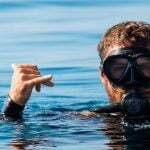 Your well being is of utmost importance to us, so please read the following information carefully and complete the ‘Can I Go Diving’ questionnaire if you intend on scuba diving while on board Compass Cruises as some medical conditions and/or medication may stop you from participating in Scuba Diving. Please see our Important Information page for medical restrictions to scuba diving.